When the monsoons come to Bombay, it brings with it nonstop rain, waterlogged roads and general chaos all around. But it also gives us the reason to look towards our weekends afresh – because it is at this time that the surrounding Sahyadri range gets splashed in a brilliant bright green colour – a shade more vibrant than what you have seen before (if you aren’t from Bombay). Hence it is a common sight to see Mumbaikars get into overloaded Innovas & Taveras and driving out to Lonavala or Mahabaleshwar on weekends. There isn’t much to do in Dabhosa apart from the waterfall trek and the two optional sports activities. We took a day picnic package from www.naturetrails.in . They have a small 10 room resort overlooking the waterfall called Dabhosa Waterfall Camp. And more importantly, they serve a sumptious lunch buffet for 480 per head (breakfast, tea included) - which was very tasty in a homecooked way. The lunch had rice/rotis, 3 veggies, dal, chicken curry and sweets/salad etc. We arrived too late for breakfast, but apparently breakfast had idlis, vadas & poha. If you are adventurously inclined, then you can take their Adventure package - which includes valley crossing and kayaking along with the food and a room for day use as well at 900 per head. We took the adventure package - and were given one large 6 bedded room for the 7 of us. The room was bright and the bathroom was really neat with towels etc - though there was a damp mouldy smell in the room. We had taken a Toyota Innova for the trip and it took us almost 4 hours to reach Dabhosa. There are atleast 3 ways to reach Jawhar from Bombay. The first route (which we took) is to take the Ahmedabad highway till Manor (about 85km away) where you take a right and and head for Vikramgadh and then to Jawhar. At Manor, there are two junctions - you have to skip the police station and take a right at the telephone exchange. The other route is to go north from Bhiwandi towards Wada and then onto Jawhar. The third and longest option is to head on NH3 (Nashik highway) and take a left at Kasara towards Jawhar through Khodala. This route, though much longer, has the advantage of going through Vihigaon. 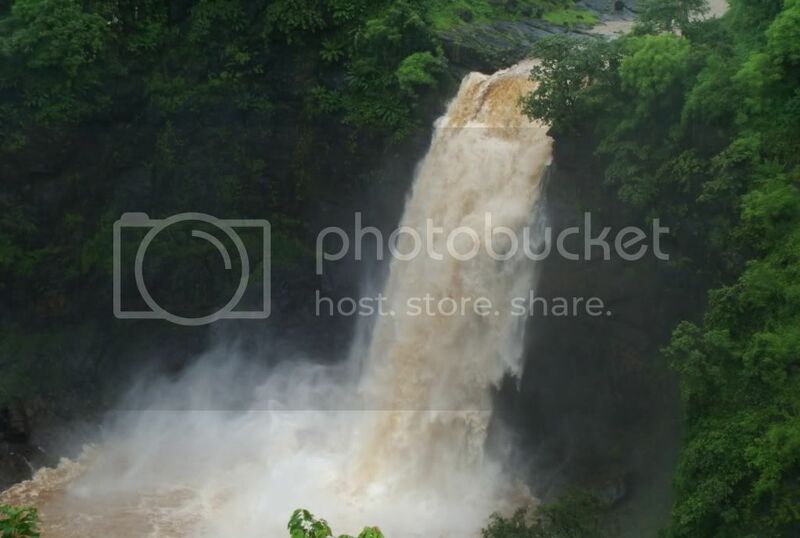 Vihigaon comes around 20 km before Jawhar, and is the site of another big waterfall which is more accessible (closer to the road). The Ahmedabad highway is clogged with trucks and going is slow, but after Manor, the road is unbroken and virtually empty. We would see another vehicle only every 10 min or so – and the surroundings seemed bereft of habitation - making it a drivers delight. 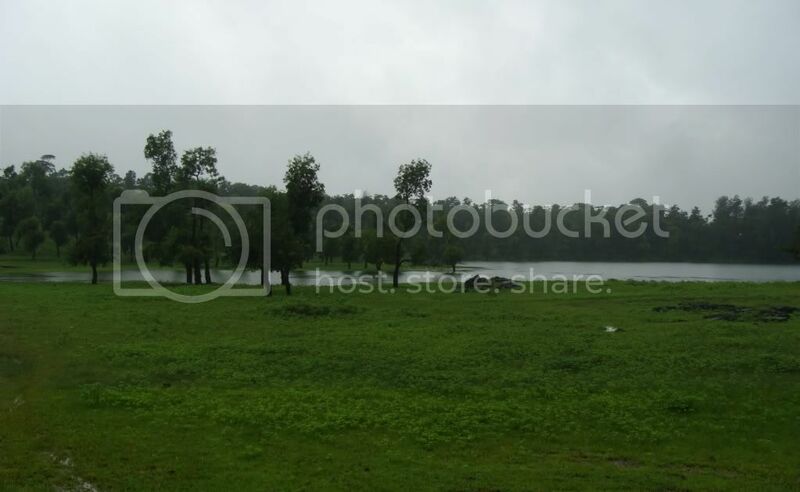 Dabhosa is recommeded for a day trip with friends in the monsoons. The waterfall at the bottom is breathtaking and leaves your mouth a little open - while you take in the noise, the spray and the seething water in the pool. And after all the hard work climbing back up, the hot lunch overlooking the waterfall isnt the worst thing you could do.